Spray-painting on a wall in your house is usually a one-way trip to somebody getting really, really angry. 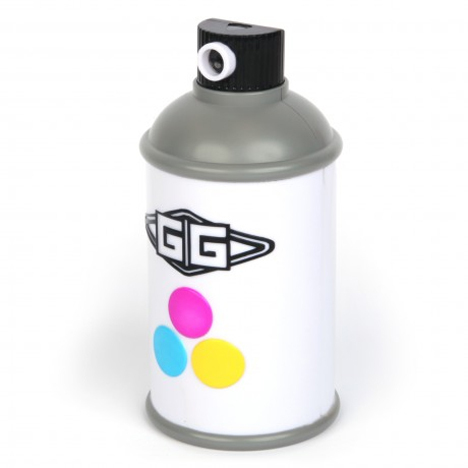 The Spraycan Projection Clock is the best way we’ve seen to get out all of your hooligan-esque tendencies by “spraying” the time onto a wall – temporarily and completely reversibly. 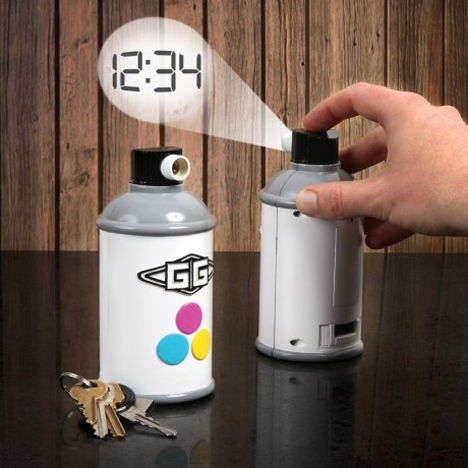 The Spraycan Projection Clock is the creation of GAMAGO, an independent San Francisco consumer products design company. The clock looks just like a can of spray paint, but when you push down on the button on top of the can, instead of a blast of color you get a lighted projection of the current time. The time is displayed as numerals inside a beam of light. When the light hits a surface, the time is temporarily “painted” on it. The clock, a perfect gift for retired taggers, works on two replaceable AA batteries and goes for $20 from GAMAGO.